Easily exchange photos, music, movies, applications and other files between your notebook and your desktop PC. The HU2P4 Easy-Link USB Data Sharing Hub allows you to easily copy files from PC-to-PC using a direct USB connection. Simply plug one end of the Easy-Link File Sharing Hub into your USB port and the other to the computer you wish to transfer files to and begin to copy files. Pre-installed software will gather your files and prepare you for transferring. 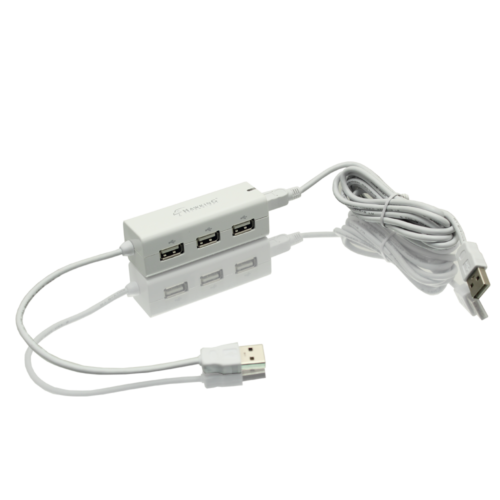 In addition, the Easy-Link USB File Sharing Hub comes with a 3-port USB Hub, providing you access to other USB devices, such as a camera, mouse or USB flash drive. 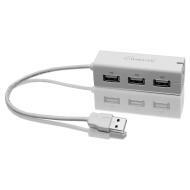 The Easy-Link File Sharing Hub is the easiest way to transfer files between computers and gives you the added benefits of a 3-port USB hub!